This sweet owl design looks fantastic on our natural colored honeycomb heart baby afghans. This throw is 100% cotton, double layered and measures 36" x 48". 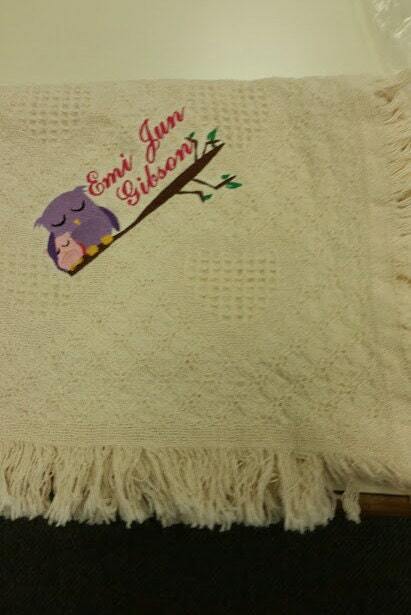 This designs measures approximately 7"W X 2.5"H. The colors used in the owls are baby pink, purple, and lavender. 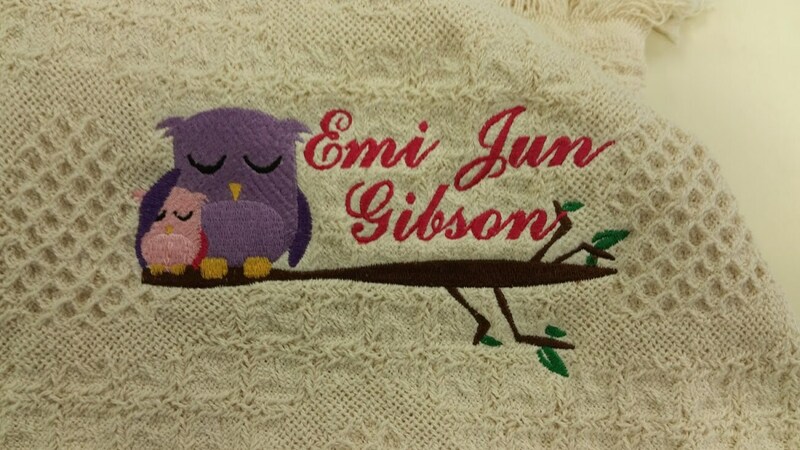 The baby's name is sewn in ruby thread and the font used is commercial. Other fonts that I have that you can request are curlz, kids font, block, and several others. Just let me know what font you are looking for and I'll let you know if it's available. You may request specific colors instead of the ones shown, just message me and let me know what you are wanting. Provide the baby's name, color specifications and font requests in the buyers note upon purchase. Please allow 1-2 weeks for delivery. If you need it quicker, message us and we will try to meet your deadline.